first of all I have to tell you this book is not a quick read. Instead, you find yourself taken away on a journey of amazing adventure . . . I should add that the adventure is one of time travel that quickly captivates you and you don't want to miss what's about to happen next. Also inside this story we hear from the narrator, who is trying to keep up with what's happening inside the story by not getting too far ahead of the story. The year is 1897. Stanley Becker is a 36 years old man who lost his family six years ago and copes by drinking away the pain but the events that take place, Then something incredibly unbelievable happens . . . time travel that takes him on an indescribable journey. 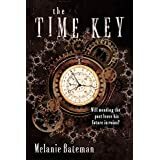 I'll not say more except to suggest you read "Time Key" by Melanie Bateman. "The Magnificent World of Spirits" is a very interesting read. 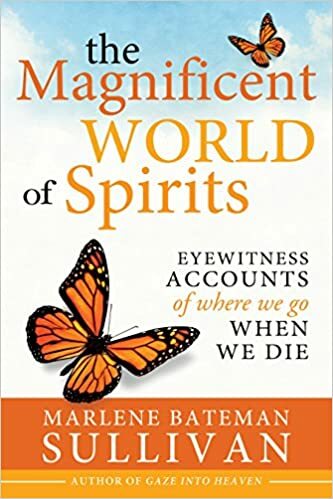 It takes the reader on a journey into the spirit world, giving him/her an amazing opportunity to understand more about death and the post-mortal life . . . which means that this is not a fast read. Instead it's a teaching opportunity for the reader in receiving some very valuable facts concerning what happens after death, facts given by those who have actually had the opportunity to visit the world of Spirits and learn many eternal facts for themselves. 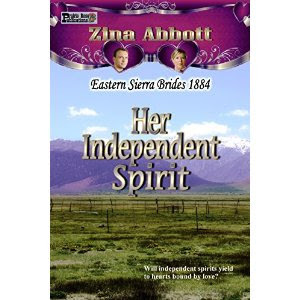 Zina Abbott has, once again, given to readers an amazing story that will draw them in almost immediately. I know because when I started reading "Her Independent Spirit," the characters came alive in my imagination and I had a very difficult time leaving this story even for a short period of time. This is a remarkable story about two women, Beth Todd and Louisa Pamley . . , each strong in their personalities . . .a strength that bonds their friendship and allows them the opportunity to help each other through what seemed to be an overwhelming task. L. G. Rollin's amazing imagination has taken her on a dark but intriguing fantasy filled with danger for Aerbrin after her father, Gavil, sacrifices his life to save hers. Thus begins the incredible, life threatening danger that follows Aerbrin throughout the rest of the book. Unbelievable creatures, who are after a small stone that Aerbrin carries in her pocket and they are only part of the dark dangers she encounters. Vita, Hilfawn, Timbrick and Teepin seem to be her only protection against all the evil creatures that want her dead, and, believe me, there are many. Sometimes I couldn't keep up with all of them. But not only are the creatures Aerbrin's concern. There is a cursed land called Druiman and a demon, named Snugglib, who controls everything within that land. I'm not into deep, dark fantasies, but this book is well written and the author's imagination is remarkable, causing me to want to read it until the very end. I recommend this book to those of you who enjoy fantasies filled with dangerous journeys, creepy creatures, black magic, evil and good powers and continued frightening, yet intriguing events. 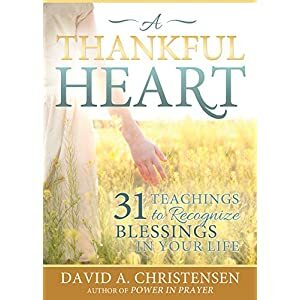 As the cover says; " inside this book, there are 31 teachings to recognize blessings in your life." David A. Christensen uses Scripture references as well as several Prophets quotes to teach us. I quote Tara Creel from the Deseret News when I say Bro. Christensen proves that the scientific part of being happy is not only related to the amount of faith and spiritual effort we expend, it also depends on it. I made sure everything was quiet around me so I could focus on all I had to learn from "A Thankful Heart". 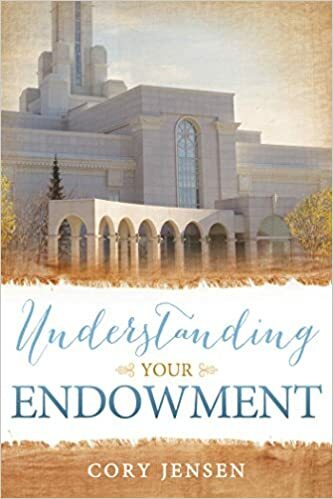 Understanding Your Endowment is a very touching and revealing book for the LDS reader, who attends the temple or preparing to go to the temple. The reader will be truly enlightened in understanding the covenants. When you read this book, take time to read the scriptures the author refers to and do the homework at the end of each chapter to gain a deeper understanding. I'm truly impressed with Cory Jensen's reverent manner in which he takes the reader into a deeper realm of understanding the covenants. I can only say that I loved this book. 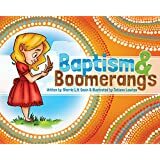 It tells a sweet story of a young girl preparing to be baptized and how her grandfather prepares her by using a boomerang to teach her the important facts that would help her understand baptism. I was born with an active imagination, so my mother claims. I used it extensively when faced with punishment for infraction of the rules. Although during that period at the time it seemed a detriment to my reputation, it developed into a creative love for the arts. As soon as my adult life allowed, I unlocked the door to my imagination, once again, performing and directing in community theatre. I found a love for creative arts. Painting and writing became a passion. When my first novel was published, I was estatic. The first thing I did was call my mother and let her know that all she had endured had finally paid off. I have written five books: "Miracles for Michael," "Journey of the Promise," "Pages From the Past," "The Silent patriots," "Prince Etcheon and the Secret of the Ancient." And my latest: "The Buckskin Trail. My art work can be found on my webpage www.joannarnold.com. I look to the future and imagine what it might bring.